Feeling a little under the weather? You are not alone! 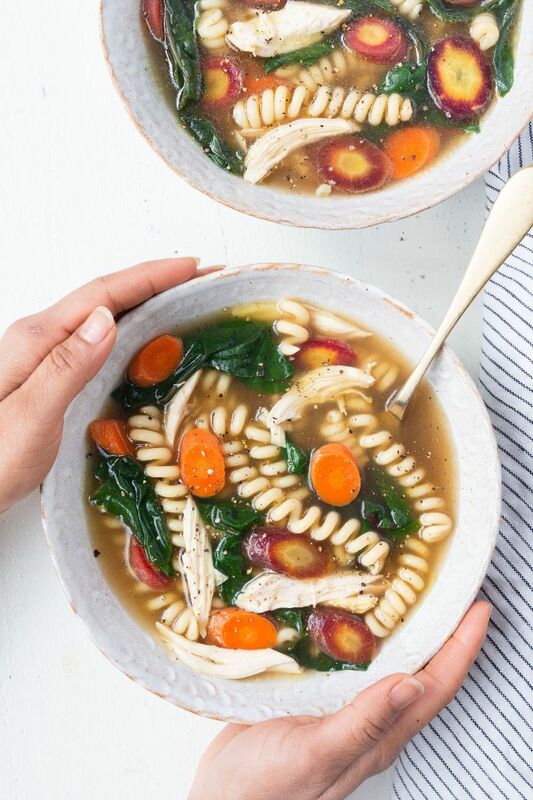 That's why we filled this week's menu with a comforting chicken noodle soup, easy vegetable fritters and a cozy pasta. This comforting chicken noodle soup has a slight twist thanks to lots of ground ginger and turmeric. The recipe calls for using an electric pressure cooker to get maximum flavor for the broth in minimum time, but you can also cook the broth in a stock pot on the stove top for about 3 hours to mimic similar results. New Year, New Us. Kinda. 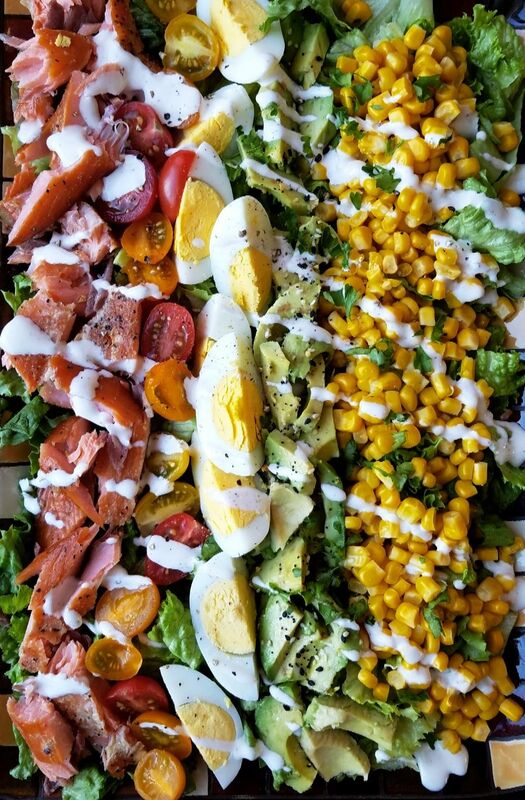 We're swapping the traditional bacon for smoked salmon in this anything-but-boring Cobb salad! Feedfeed Tip For perfect hard-boiled eggs, add a little white vinegar to the water while they cook; it will make peeling them much easier. 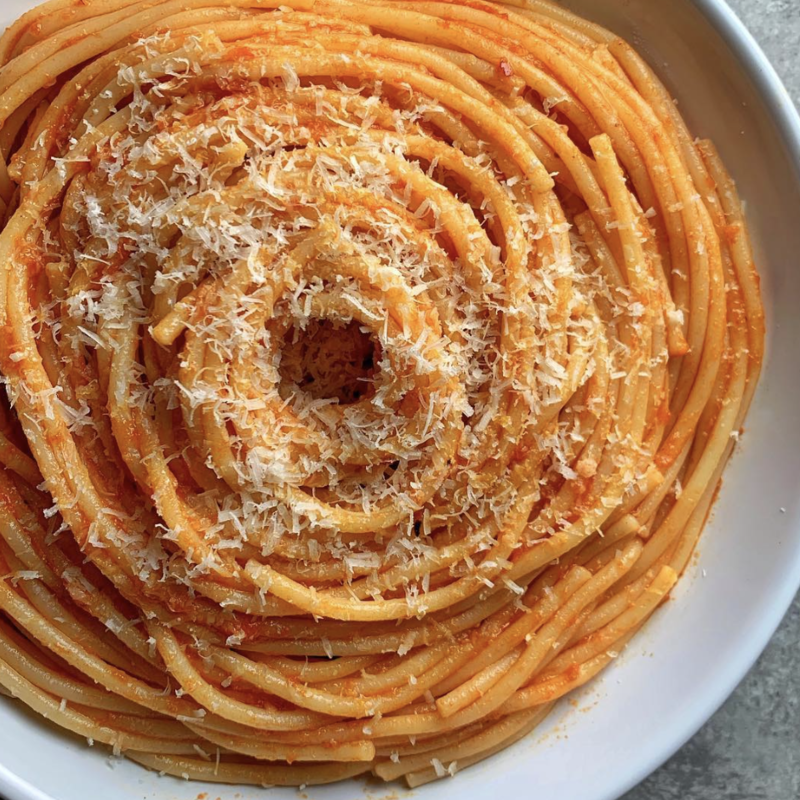 Our very own Jake Cohen makes one mean pasta and he's spilling all his secrets here! 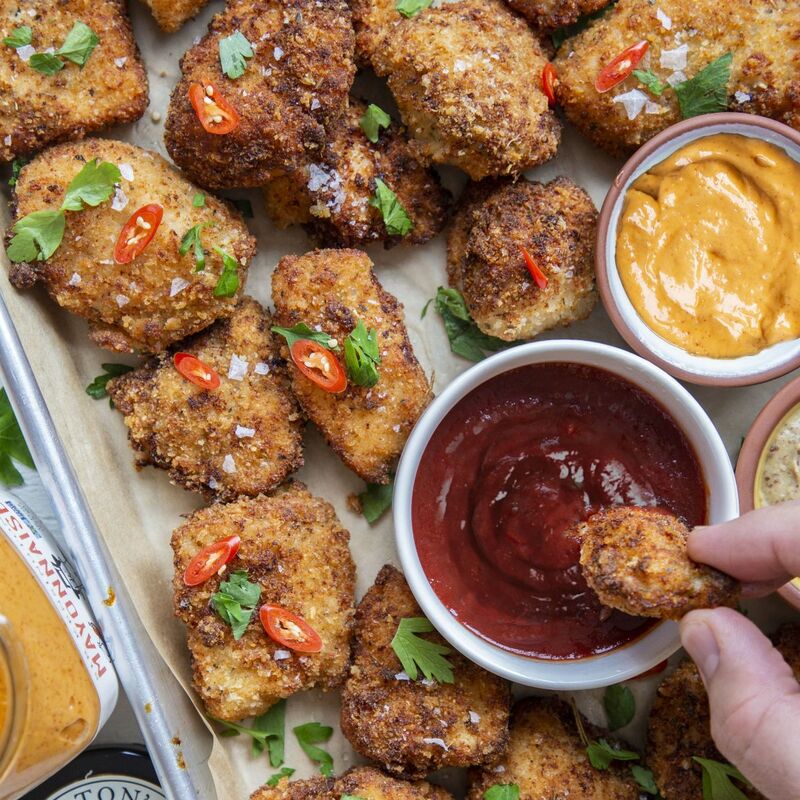 Yes, grown ups can and should eat chicken nuggets for dinner. Serve these over some greens with fresh lemon juice for a quick and easy complete meal. Feedfeed Tip The method for cooking these suggests baking them in the oven, which is great for when you want to cut down on time and mess, but you can also pan-fry them to get a more crisp and golden brown exterior. The recipe includes a note about how to cook them both ways! Can you handle the crunch? 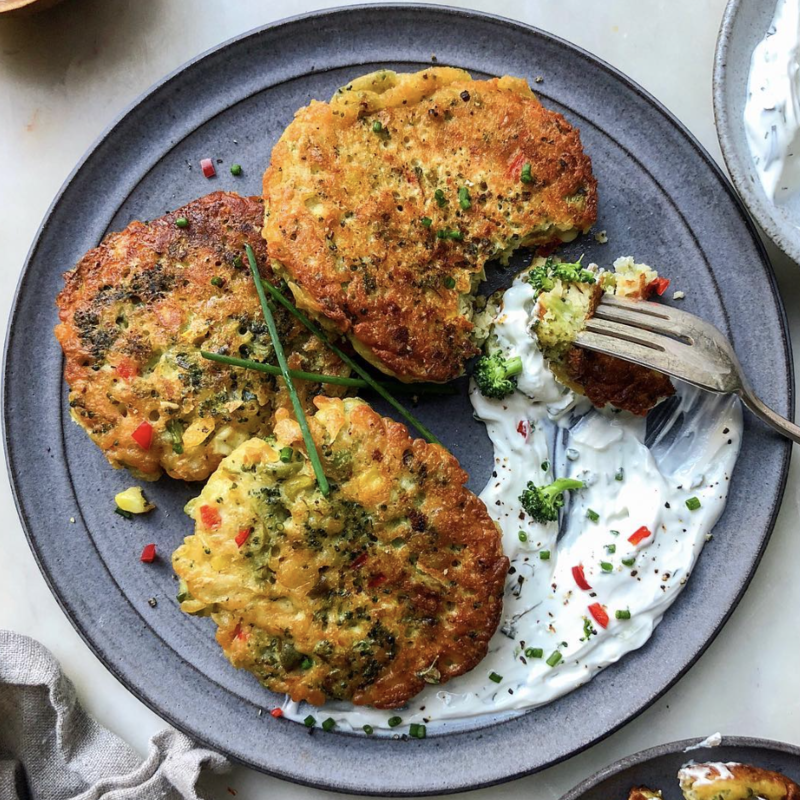 Chickpea flour yields major crunch factor which makes these vegetable fritters irresistible! Serve them in burger form or with your favorite grain and a dollop of herbed greek yogurt. 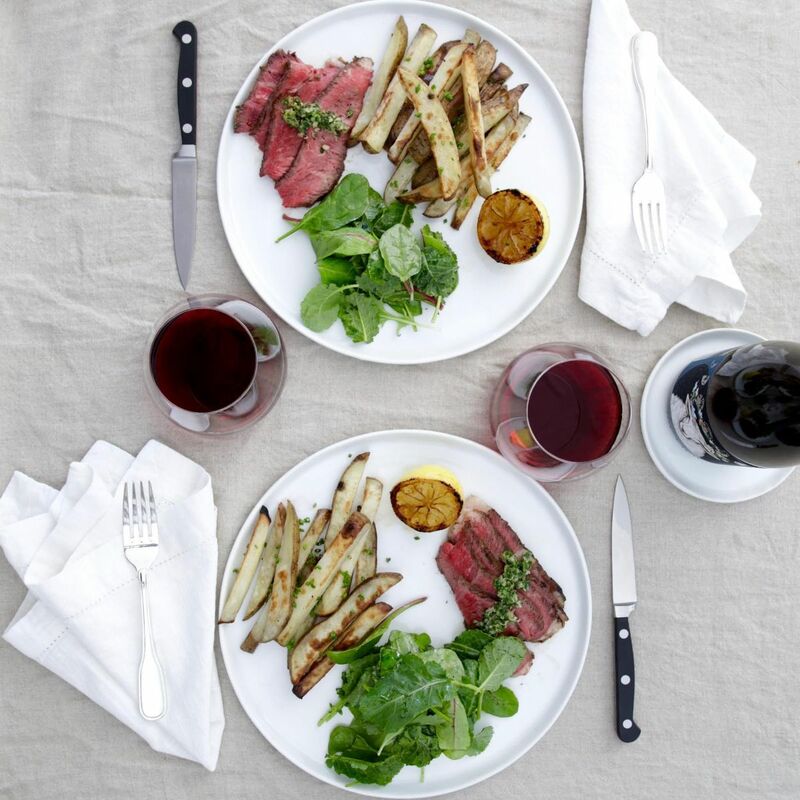 Dine in for Date Night with this quick and easy riff on Steak Frites. Only one pan to wash! Feedfeed Tip Rib eye not in the budget? We feel you! You can use the same cooking method for almost any cut of steak, just be sure to adjust the cooking time accordingly if you use a thinner piece of meat. 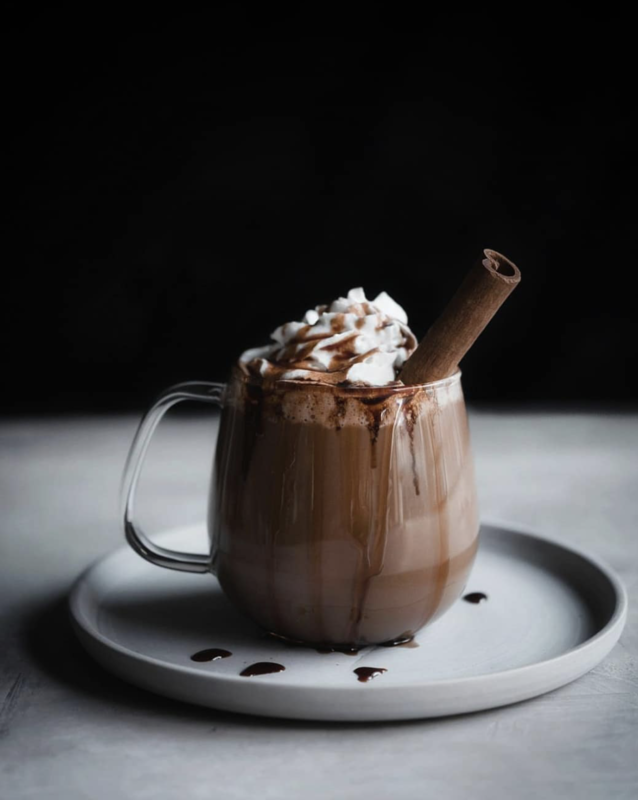 Naturally sweetened cocoa? Sign us up for two mugs! If you can't find date syrup, you could use pure maple syrup instead.